Catching some Pels highlights and it would be awesome if Kuz could get to Mirotic's current level in the next couple years - not just the scoring punch, but the nasty, crafty defense, too. I'd also take Peja, but all in due time. This time of year always inspires some of the stupidest ideas. Here's the deal. I do not want to trade Kuz. But I also do not want to play him exclusively at the 5. If we're resigned to playing him there, then, what are we doing? We should trade him, if possible, to get ourselves an actual starting center. If we're not resigned to playing him there, then get someone else in there. Zu, Beasley, I don't care. But it has never looked good putting him there, and I do not see how that helps him develop as a player at all since that's not his game. It's not like the only deficiency was in his defense as a center. He looked out of sorts and resembled nothing like the awesome player that we all expected to take a major step forward this year. He can still take a step forward tho .. it was just one game. Yeah it's pretty funny too, how, the "positionless basketball" term everyone likes to throw around went out the window in one game with people now wanting an actual center. We're doing wrong by Kuz, IMO, by playing him at center. Square peg, round hole. I think it’s easy to sit here and say well how many legit centers are there in todays game, Kuzma should do fine at center most nights right? Yup, I had this same argument a few pages ago. People are complaining that there's no minutes for him. That the only way to get him some minutes was at center, which they don't want to see him play. I said, if that's the case, gotta look into trading him while his value is still high. They said, what are you crazy? Why would you trade a guy that could be a potential superstar. But the thing is, the problem that's proposed is that - we have no room for him to become a superstar here with us. 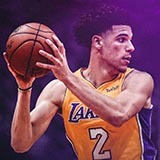 In order for Kuzma to fully develop with us, he needs to play at his best position, and he needs to get minutes there. So far, it's been hard for us to give him that role. If going forward, this is going to be an issue, then gotta look into moving him while his value is sky high. He might be able to get us a lotto pick right now. I’d trade Ingram before Kuzma. As of right now Kuzma alone ain’t getting us a whole lot and I’d rather keep more shooters around LeBron. Not saying Kuzma is a great shooter but damn sure better than Ingram in that category. Assuming the Lakers feel the same as you, that they'd rather keep Kuzma over Ingram, then they should start Kuzma over Ingram as well. They don’t feel the same as me. Or they would’ve moved Ingram for George. Kuz has been not good. People will say it is because Luke is playing him at the 5. Look if that is what the team needs and Kuz can't do it don't be surprised them move on. Im not even saying this is where it is right now, just saying. its not really Kuz or Luke fault, just not how the chips fell. Not true, especially if you are looking to trade Ingram now. They did this with Nance when they started him over Jules. To be fair, Kuzma has not been good for one game. I don’t really care about preseason performance. I agree. He had two solid games against the Rockets last season. One in a W. Lets Go Kuz. You can count on Luke to consistently position us behind the eight ball. Do you like anyone? Does anyone like you? Yes, I like a few of our players. I think Lonzo and Kuzma leave a lot to be desired though. Yea you should stop doing this. 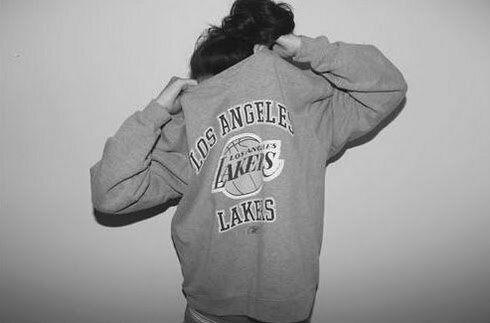 If we all had the same opinion on everything laker related there would be no point in having a forum. Tbh, I'm also having a hard time connecting with anyone on the current roster. I love my Lakers but for whatever reasons, these guys aren't doing it for me. I will always support though. Maybe your constant negativity isn't popular...? Tbh, I'm also having a hard time connecting with anyone on the current roster. I love my Lakers but for whatever reasons, these guys aren't doing it for me. Lebron's an easy like for me, tbh. I like all the young guys, but some will fail this season, so I'm trying not to get too attached.